Possibly of interest to Dublin-based history fans. In the internet age, many people outside of academia wonder how scholars stay relevant and connected. We have all heard in the classroom, “why should I learn this when I can Google it?” The truth is we, like the Jedi, help others see otherwise invisible connections in the world, “the Force”. Academic rigor brings to light causes, correlations, and questions in our history, our culture, our environment, and ourselves. Take 3 Guys, all Conscientous Objectors. These are three short bits about Conscientious Objectors. One is still sung about in Scotland his name is John Maclean (24 August 1879 – 30 November 1923). Born in Pollockshaws on the outskirts of Glasgow. John was Britain’s only revolutionary communist. The others of his era, Manny Shinwell, Willie Gallacher and the other leading lights of Red Clydeside were Parliamentarian Communists. Educated at Glasgow University where he obtained an MA. John spent most of his adult life teaching other adults in Glasgow and founded the Scottish Labour College. He was Britains first Bolshevik Consul, although not recognised by the Westminster Government. Imprisoned for his anti-war stance under the provisions of the Defence of the Realm Act (DORA) he went on hunger strike and was released after protests. In April 1918 he was again arrested. At the beginning of December 1918 he was released. An event commemorated in a song by Hamish Henderson. Backing the Bolsheviks, Dublin 1918. When 10,000 people gathered in Dublin to hail the Bolshevik revolution in Russia. In February 1918, thousands of Dubliners celebrated the Russian Revolution at a packed meeting in the Mansion House. Indeed, the attendance was so great that it spilled out of the Mansion House, with many more filling parts of Dawson Street, with an attendance of up to 10,000 people. After the failure of the Zeppelin attack yesterday, the Germans launched a new weapon against Britain today. As the limits of Zeppelins were becoming clear, the aarival in Winter 1916 of the Gotha IV bomber finally made aircraft raids on Britain a realistic possibility. The Gotha IV was a biplane of 75 feet wing span and 42 feet in length. It wa sfitted with two 260hp Mercedes engines driving pusher airscrews, carried a crew of three, and was armed with three machine guns, one of which could fire through a ‘tunnel’ to attack fighting aeroplanes. It could carry up to 500kg of bombs and had a top speed of about 80 miles an hour. A specialist squadron, Kampfgeschwader 3 der Oberste Heeresleitung (Kagohl 3 – Battle Squadron 3) was set up. After months of preparation the Squadron made its first raid today. I have just learned that Alistair Horne has died. Horne was the author of The Price of Glory: Verdun 1916, an account of the Battle of Verdun that heavily informed my own posts on that terrible battle. 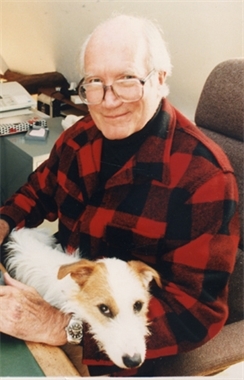 Horne had a unique ability to write narrative history that was also impressively analytical. His book on Verdun was the middle of a trilogy on key Franco-German struggles, with the other books looking at the war of 1870 & the civil war that followed and the fall of France in 1940. All three of those books are excellent. Horne wrote widely on many topics though it is his books on French history for which he will be best remembered. I hope one day to read his A Savage War of Peace, his account of the Algerian war of independence.